Completed in 2007, the Cole Farm Residence dates back much further. Using design cues from a milking barn that was erected in 1915, this home has all the classic touches of a century-old farmhouse yet all the benefits of modern style and technology. For example, the home is centered around an outstanding stone fireplace yet also has a high-efficiency propane boiler. It uses a traditional lumber frame, yet also has low-voltage lighting and high-performance insulation. It’s a stunning piece of architectural artwork, and we’d love to take you on a tour. 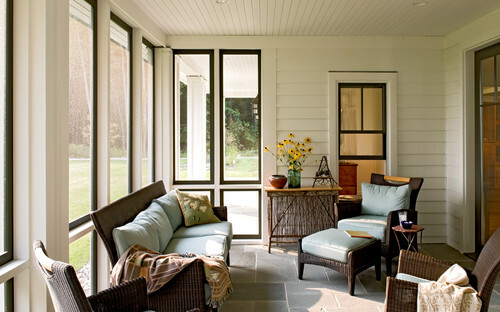 Welcoming guests to the home is this elegant and comfortable porch. The porch is excellent for warm mornings, and the sunroom next to it provides comfortable protection from bugs and winds. 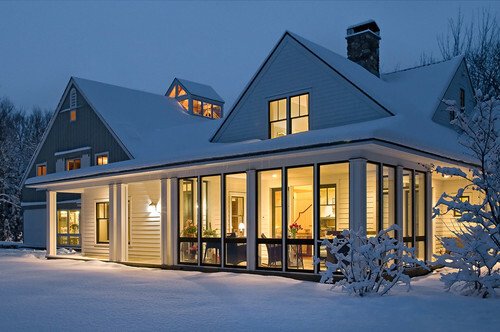 All aglow in a winter twilight, this home has a majestic beauty that only winter can fully expose. 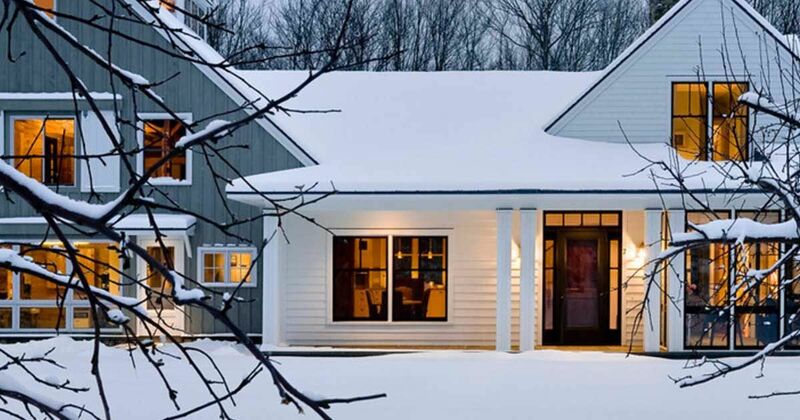 No matter what the season, the interior of this farmhouse is simply stunning. 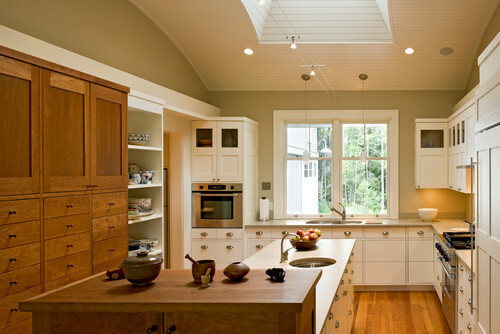 Take a look at this kitchen and you’ll find rustic wood, contemporary white paint and stylish fixtures — all basking in natural light, thanks to the large skylight. The centerpiece of the home is this amazing fireplace. Built from fieldstone, this large fireplace sets the tempo for the entire property. The living room has plush furniture with warm, stylish throw pillows. Behind the sofa, you see the entry to the fantastic sunroom. 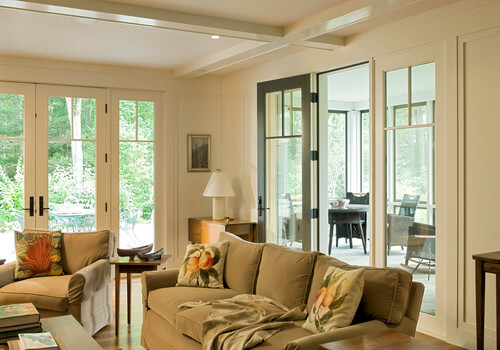 During the warm season, the sunroom has an appealing touch, especially with the daisies and summertime decor. 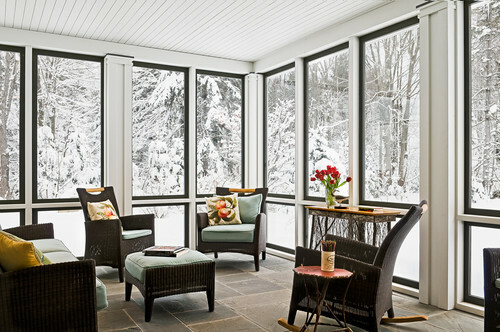 In winter, the sunroom is bright and welcoming. It looks like a great place to watch a winter blizzard pass by. 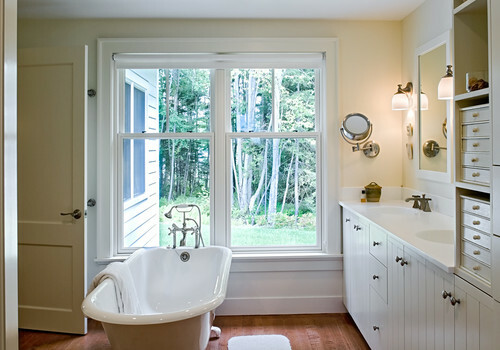 The bathroom has all the classics of a traditional farmhouse, including white cabinetry and a claw-foot tub. With rich hardwood floors, the bathroom is a true delight. 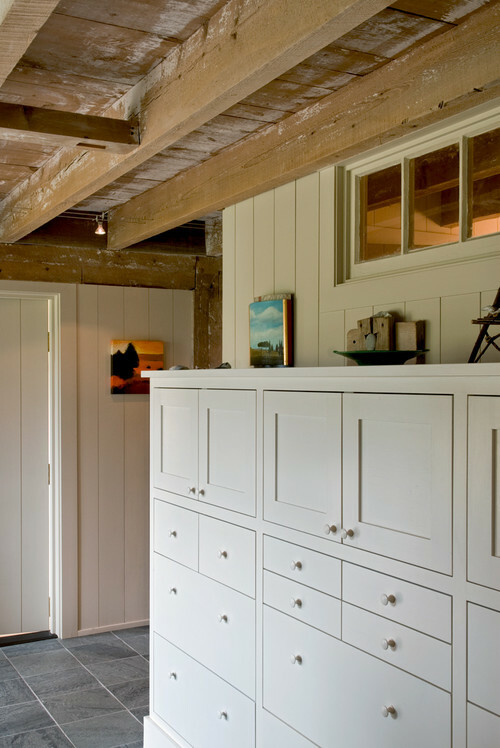 The mudroom gives the home utility and convenience, but it’s the large wood beams that give the room a classic, old-world style. 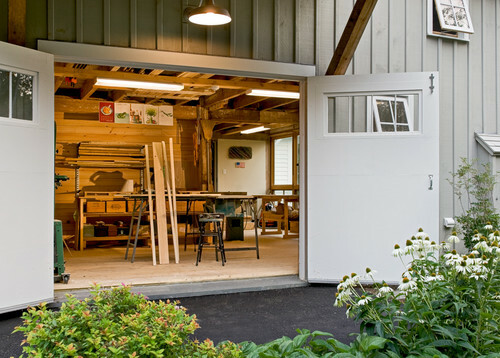 One of the most interesting features of the property is the woodworking shop, which was a must-have for the homeowners. 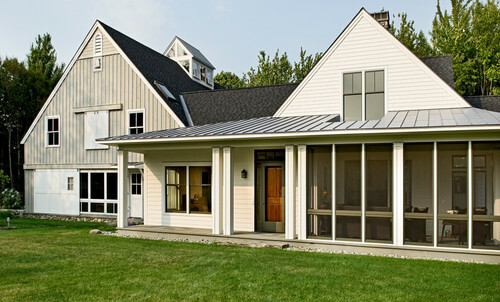 What do you think of the Cole Farm Residence? Share your thoughts on the stone fireplace, large skylight and enchanting sunroom today!